Three years ago, I set my foot in Myanmar with a heart to explore the world. This year, H & I decides to return to the country where we first met. 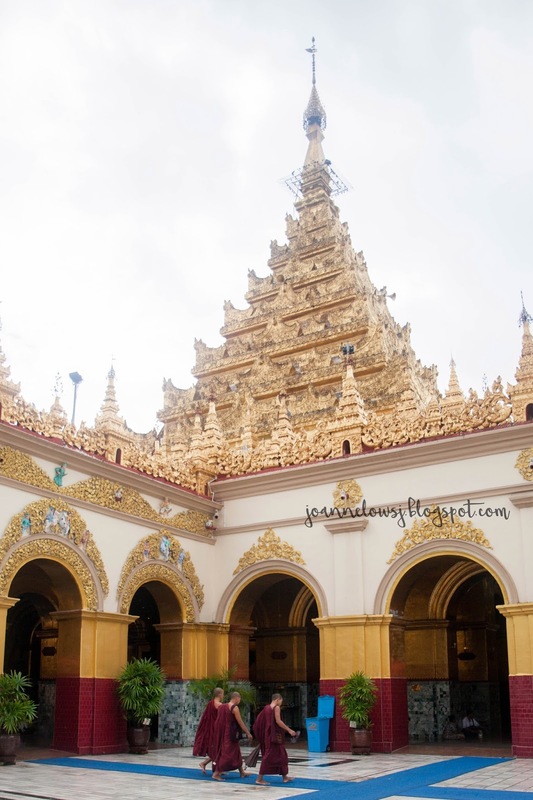 Instead of revisiting Yangon, we chose Mandalay and Bagan. Back then, travelling to Mandalay is expensive. Glad that there are more airline flying direct to Mandalay from Singapore. H & I spent 6 days 5 Night (or rather 5 Day 5 Night) in Myanmar, visiting Mandalay and Bagan. Other than visitng the magestic temples and pagodas, we spent time rediscovering ourselves and remising the trip in Yangon. Those were the days! 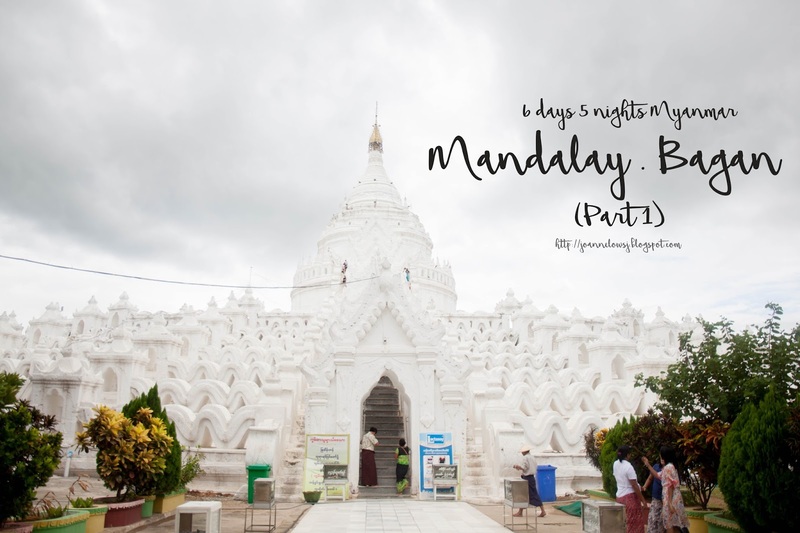 Here are some things that you should know before visiting Mandalay! I hope these information helps! Have fun! After we check in and settle down in our hotel – The Home Hotel, the first thing that came to our mind was food. Despite pouring outside, we went ahead to a restaurant 15 mins away from our hotel. Happy Noodle – As the name says, specializes Burmese noodle. H had the Pork rib noodle (2900k) and it tasted similar to the Bak-kut-teh we had in Singapore. The soup base had light herbal taste and the meat is cooked to perfection. Soft and tender. Another recommendation from the staff was the Duck Noodle (3800k) . Unlike the pork rib soup base, this had a salty soup base. Sadly, there was only a handful of slices of duck meat. In the evening we visited Mandalay Hill. Although we had missed the sunset, we had a pretty good time there. There is less crowd. As we walk up the stairs in Mandalay hill, we saw many families residing in the hill, kids running freely and having a good time. We couldn’t understand their language, we don’t know their stories but there is an unspoken peace there. As we walk up the 240m high hills with multiple steps, there were Buddhist chant and birds chirping away. All these made the trip up a pretty romantic one. Note: There is a foreigner fee of 1000k when you reach the peak. I read some articles and saw that Myanmar tourism has plans to increase the fee to 3000k. It took us 90 minutes to walk up and come down. Alternatively, you can ask your driver to drop you along the mid-way of the hill. After the trip to Mandalay Hill, we walk to a nearby night market - Yadanarpon Night Market. Inspired by Bangkok Night market, there are many stalls selling food, fashion clothes and accessories. Not sure if this market is newly open because there are not much crowd. Nothing caught our eyes so we left after 10 minutes. Tip: These restaurants usually serve mains and grilled food. If you want to try their grill food, tell their staff and they will direct you to the grill food selection. Ask how much each skewer cost before ordering. The price varies and some items depend on the size. We hire a private taxi to drive us to these places for 50,000 kyat while the hotel quoted us 60,000 kyat and 45,000 kyat exclude Mingun. Hiring a private taxi to get around the entire day is definitely cheaper than doing it ourselves. We started our day trip from Mingun because that is the place I wanted to visit the most. Mantara Gyi Pagoda is the world’s largest incomplete stupa. The stupa is huge and beautiful. If completed, I think the place would look even more amazing. One could climb up the stairs to the top. Like many heritage attraction, there is bound to have touts around. We smile and walk away. Along the stretch, many would stop by Mingun bell but we decide to give it a missed because we have a long journey ahead. 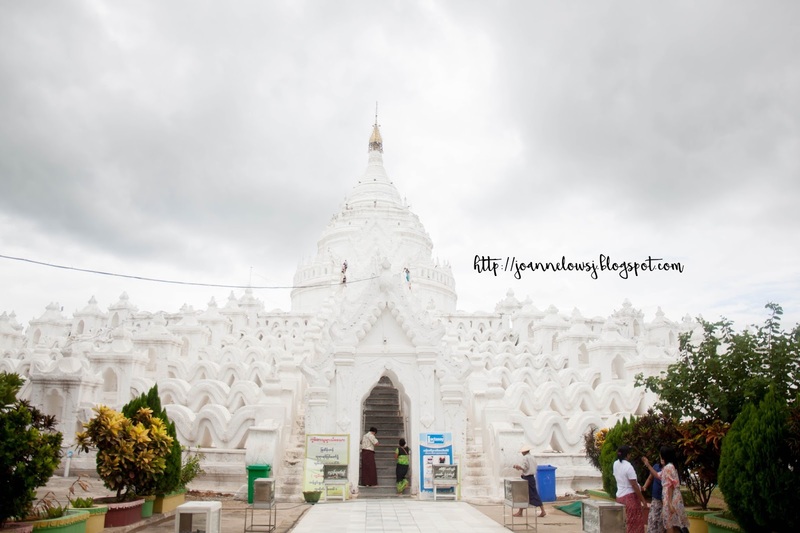 Located 5 mins away from Mantara Gyi Pagoda, we went to Myatheindan Pagoda also known as Hsinbyume Pagoda. The pagoda was built and delicate to Princess Hsinbyume - the first consort of King Bagyidaw who died in childbirth. 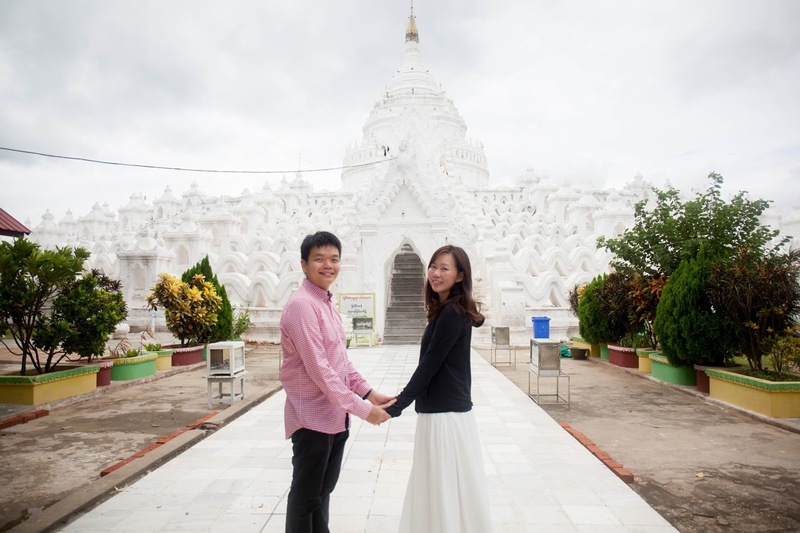 The color of the pagoda is white. White symbolizes purity, innocent and sincerity. Perhaps this is King Bagyidaw way of keeping princess Hsinbyume memory alive. Personally, I thought that this is the most beautiful Pagoda in Mandalay Region. 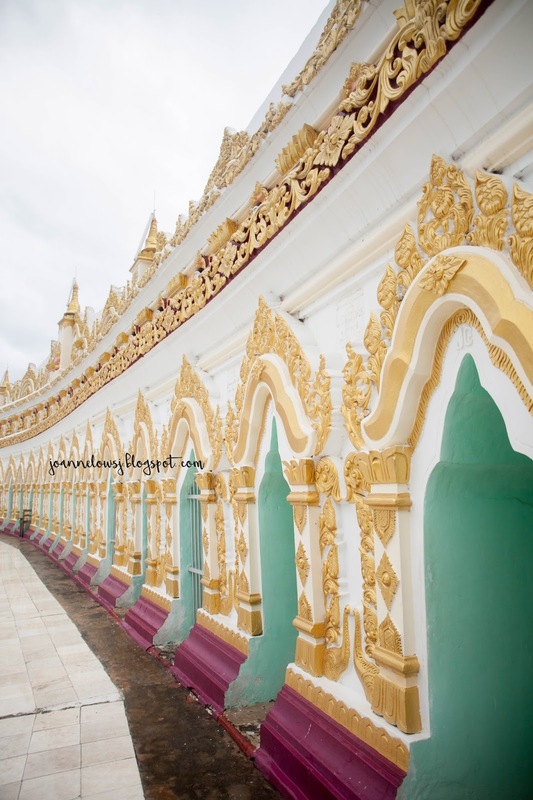 Soon U Ponya Shin Pagoda is one of the oldest Pagoda in Sagaing. The dome shape pagoda differentiates from others. 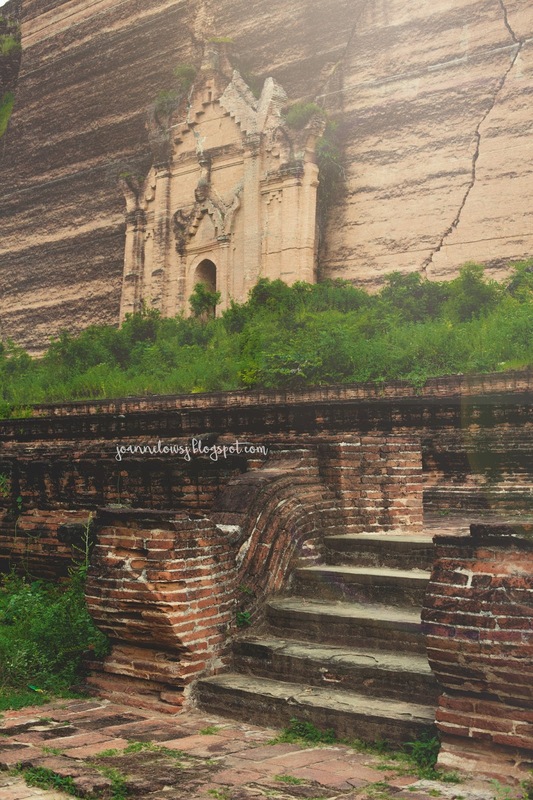 Unfortunately, while we were there, many pagodas were under reconstruction Soon U Ponya Shin Pagoda was one of them. We didn't take photos because there was a photography fee of 5000k (i think?). Plus, the pagoda was under reconstruction, so we decided not to pay. 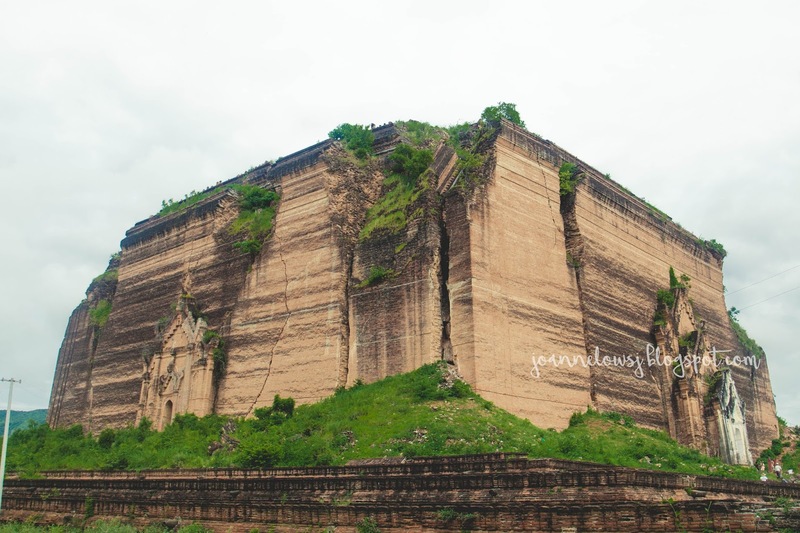 We went to a few place in Sagaing and my favorite would be OoHmin ThoneSel Pagoda on Sagaing Hill. Like a cave, the Pagoda gave a mysterious feel. Plus, the colors on the walls make the Pagoda unique and vibrant. 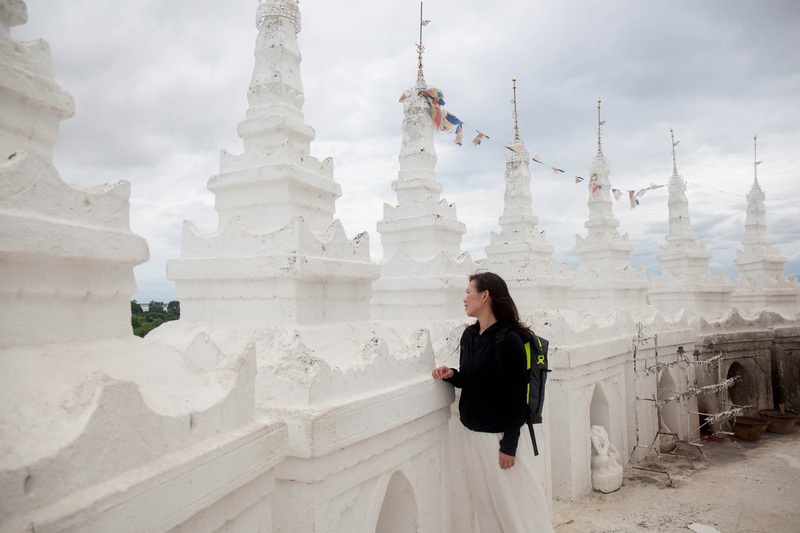 Besides, you can see the stunning view of Sagaing from Oohmin Thonesel Pagoda. Capital of Myanmar in the past, Inwa has its glory days. 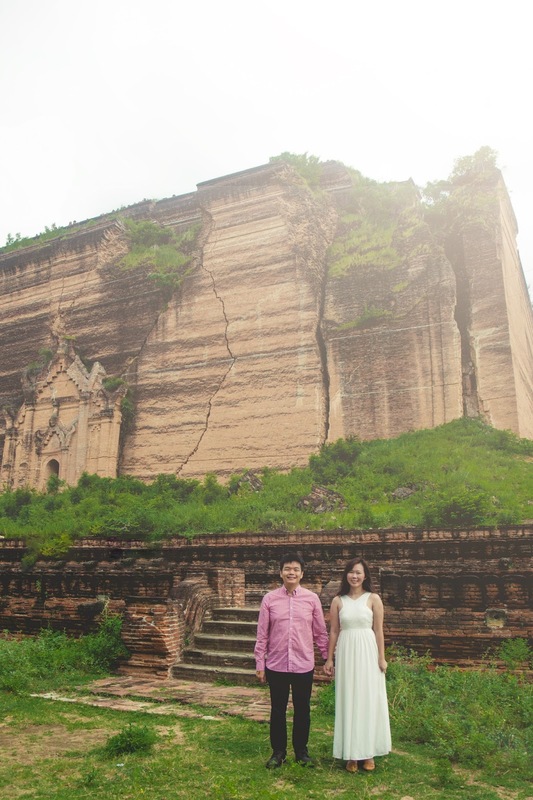 Initially, we wanted to visit Daw Gyan Pagoda complex and maybe take a horse cart and tour around Myitnge River. Unfortunately, there was a heavy downpour while we were there. So we left. 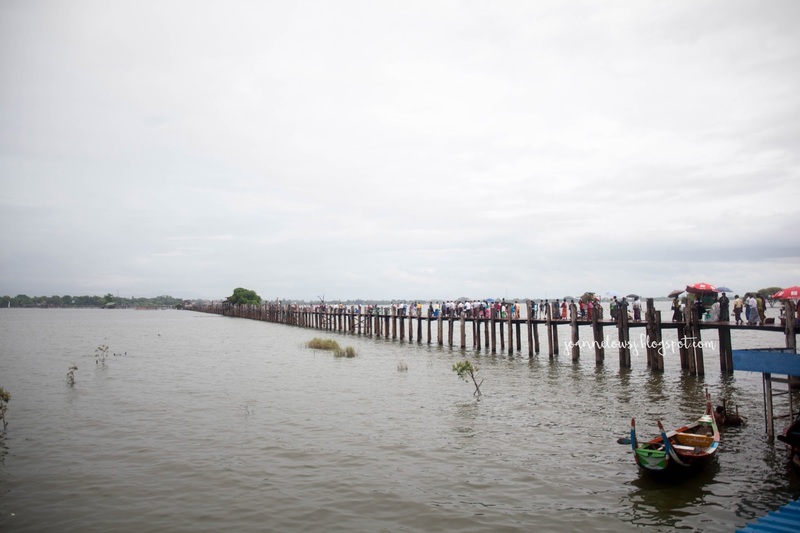 The city of the day, we visited Amarapura – U-Bein Bridge. I still remember talking about a beautiful painting of this bridge in our hotel room. The beautiful sunset over the bridge and river. In reality, it was different. The bridge was crowded. There were many tourist and locals having fun there. We didn’t complete the walk. Instead of crossing the bridge, we choose to sit at a restaurant nearby and get a drink. If you do not want to visit the restaurant, you can walk further down the streets to get the same beautiful view. Before heading back to Mandalay, our drive brought us to Mahar Thatkyarthiha Pagoda. As shared by our driver, this place is popular with local devotees. Devotees would purchase gold-plated paper and stick onto the Buddha statues. There is a saying that it will bring them good health and luck. Also, there are paintings on the wall telling the story behind Mahabmuni Buddha primage. We thought it was very helpful for us to understand better. After a day visit to many pagodas, H and I were amazed by the number of pagodas in Myanmar. 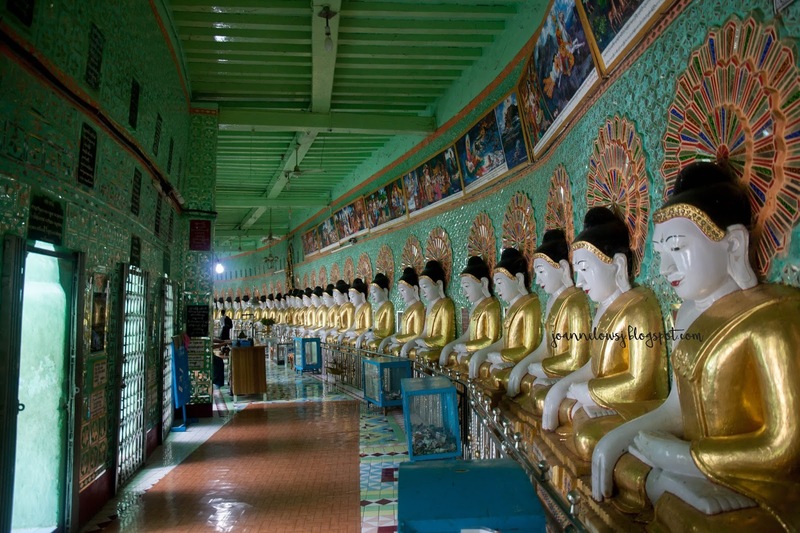 Our favorite place among these got to be Mantara Gyi Pagoda - Myatheindan Pagoda. There were too many to remember and I’m thankful that photos and having a blog like this help me to document my journey. On our second night, H & I decide to go for another round of BBQ food. We found Mr Bar B Q with google's help and had ordered similar dishes. I like the grilled chicken but rest didn't stand out. The Inoki with chicken was too thick and dry. Personally, my vote still goes with Shwe Kaing III because the fish was fresher compared to Mr Bar B Q. 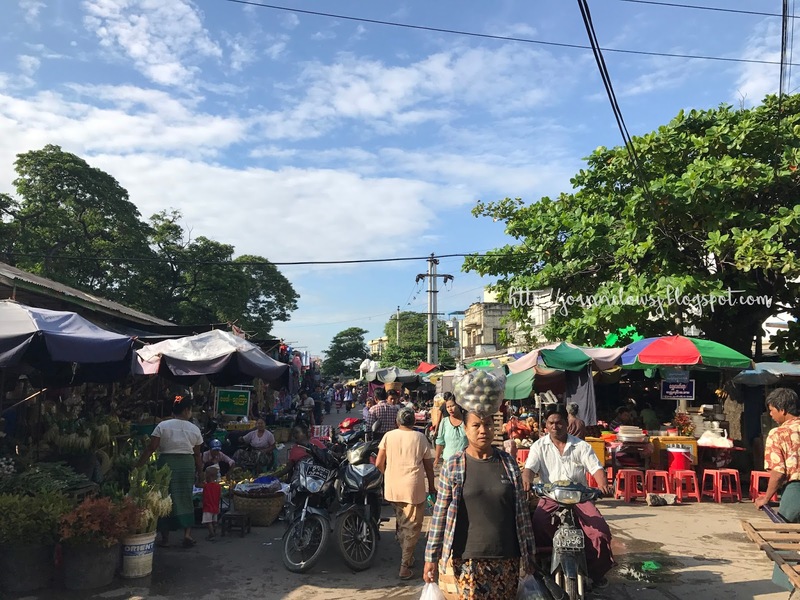 Our Morning was well spent visiting the local market in Mandalay. We went to Zeycho Market but most of shop in the market was close. Thus we went to the open market next to Zeycho Market. It is definitely an eye-opener! There are many vendors selling various stuff. There were stacks of dry food and fruits all lined up in the streets. Definitely a nice place to go in the morning!